Artists, LL COOL J will be picking the best track to be featured on the front page. 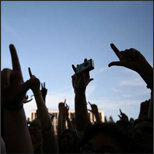 To submit your track, please LOGIN or SIGN UP first. 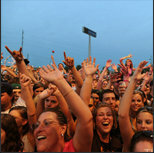 You must have an account on Boomdizzle to be able to participate. 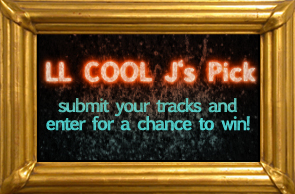 Once you're logged in, upload any tracks you want to submit if they are not already on Boomdizzle, then come back here again by clicking the LL COOL J's Pick banner on the front page. 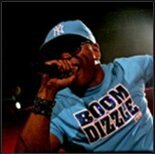 Boomdizzle Networks integrates patented collaborative technology with innovative digital marketing to change how music is recorded, distributed, and shared all over the world. Click on the 'Sign Up' button in the top right corner. Fill in your information and sign up. Go to your profile by clicking on your name in the top right corner. Click on the 'Upload Tracks' button in your profile. Click on 'Explore Music' in the top menu bar. Either browse, sort, or search for music. Click on the 'Sell Tracks' button in your profile. Just a minute away from great music!